Thanks to the phenomenal success of Young Adult novels like the “The Hunger Games” and “Divergent”, what was once a somewhat obscure sub-genre of classic science fiction has become all the rage. Dystopian films, including the ones on this list, have traditionally been relegated to cult status. With “Catching Fire” breaking box office records and the movie version of “Divergent” set up to become the blockbuster of the spring, that has all changed. What is the definition of a dystopia? What makes a story—albeit book or film—dystopian. The dystopian sub-genre of science fiction takes some negative or potentially destructive aspect of current society and extrapolates what would happen if that negative thing were pushed to the extreme. Examples are pollution, nuclear war, climate change, corporate greed, religious fanaticism, over-population, disease, militarism, technology run amuck, and even zombie viruses. Here is a list of this reviewer’s top five dystopian films of all time. Paul Vehoeven’s smash-mouth, irreverent science fiction classic is both a bold, rousing, action film, and a brilliant satire. In the post Citizens United world of the Koch brothers and Tea Party controlled government, Edward Neumeier and Michael Miner’s prophetic masterpiece of a screenplay resonates more than ever. Forget about the neutered, CGI dominated remake due out later this year. Instead go watch the director’s cut of this landmark, revolutionary film. In the future—after decades of climate change denial—corporate greed run amuck as the earth will become a polluted wasteland. The only green life remaining will be forests in floating domed spaceships maintained and overseen by a sole human caretaker—the lone environmentalist left. Bruce Dern (up for an Oscar this year for Nebraska) is absolutely brilliant in a tour-de-force performance. 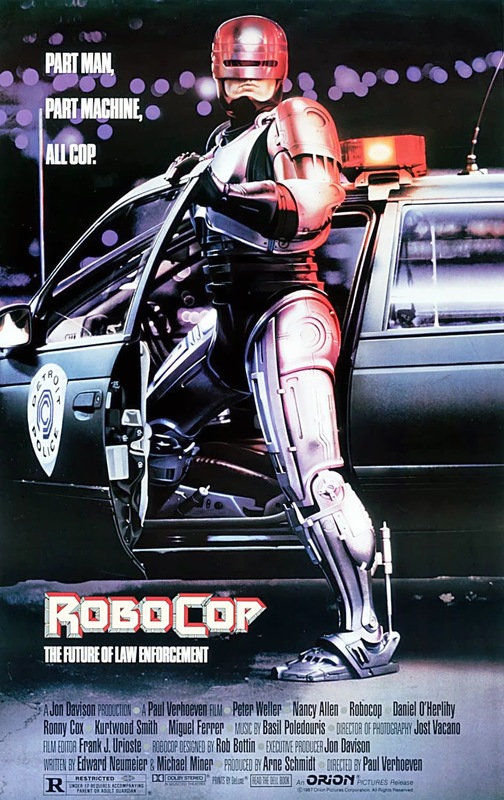 This movie has a wonderful, independent feel to it and yet contains excellent special effects courtesy of its director, Douglas Trumbull, the visual effects wizard behind “2001: A Space Odyssey”, “Close Encounters of the Third Kind”, “Blade Runner”, and “Brainstorm” (which he directed as well). What is there left to say about “Blade Runner” that has not already been said? Arguably the greatest science film of all time—certainly in the discussion—the film continues to improve with age. It is still one of the best looking movies ever made. There is something about the organic feel of real sets, physical models, and pre-CGI visual effects that has yet to be captured in a CGI film. 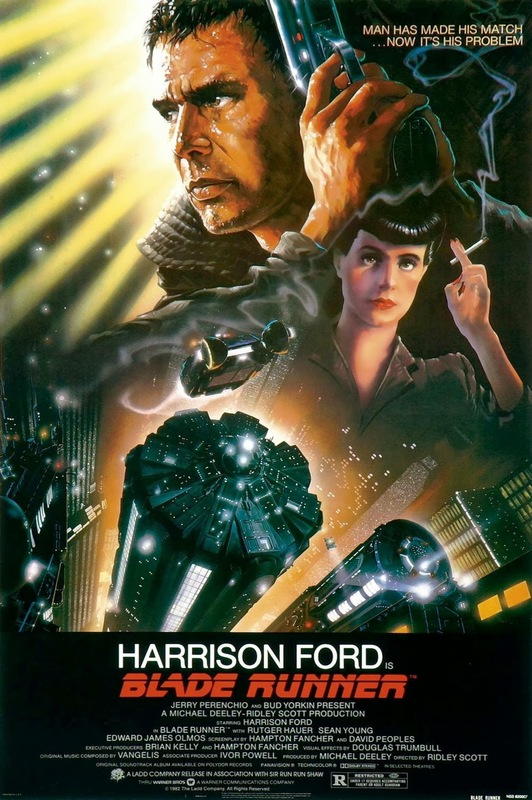 The thematic material and questions posed in “Blade Runner” have continued to be explored in science fiction, most notably Steven Spielberg’s “A.I. 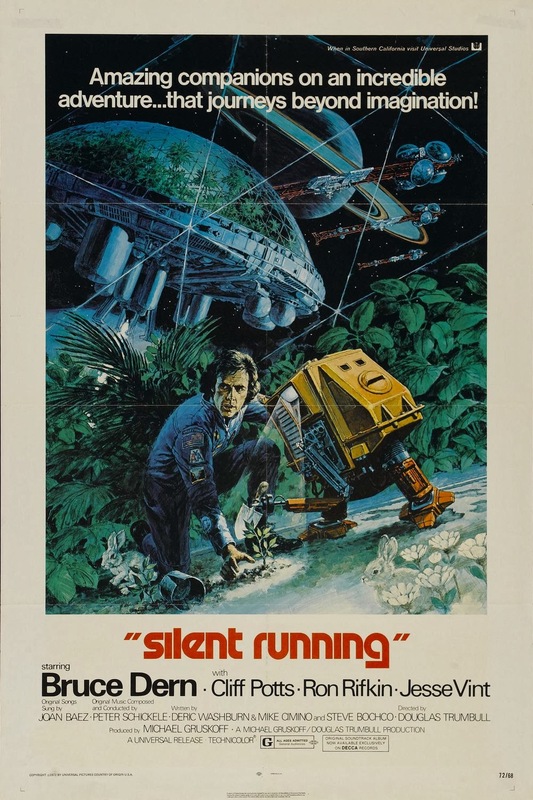 Artificial Intelligence” and the re-imagining of “Battlestar Galactica”. 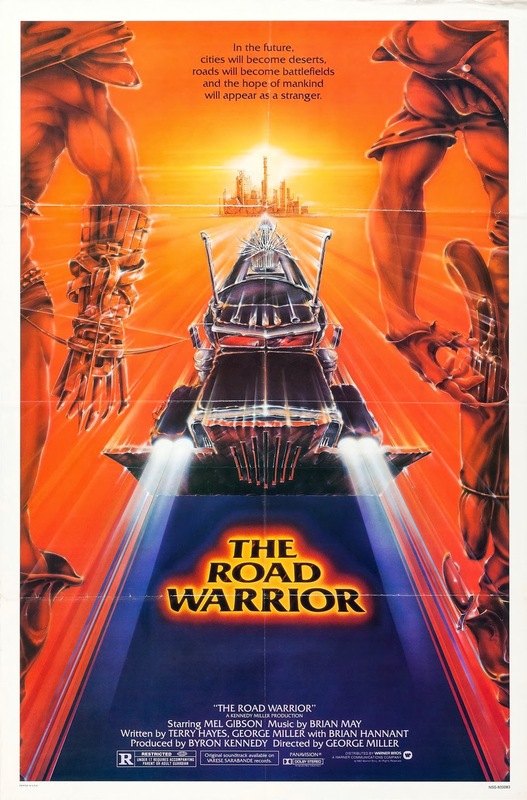 Technically this was a 1981 film because it premiered in Australia in December of 1981. But for most of the world, including North America, this movie was part of the fabled cinematic all-star line-up of 1982. I still remember reading Richard Corliss’s rave review in the May, 10 1982 issue of “Time Magazine” under the title of “Apocalypse Pow!” And “Pow” is the best word to describe this trend-setting (punk rock styling, piercings, WWE, etc.) adrenaline-fueled action classic. Man, this is a movie with attitude. The propulsive final chase scene is one of the best directed action sequences of all time—not matched until years later in “Terminator 2: Judgment Day”. “Dark” can mean many things and is a word used to describe many films on this list. 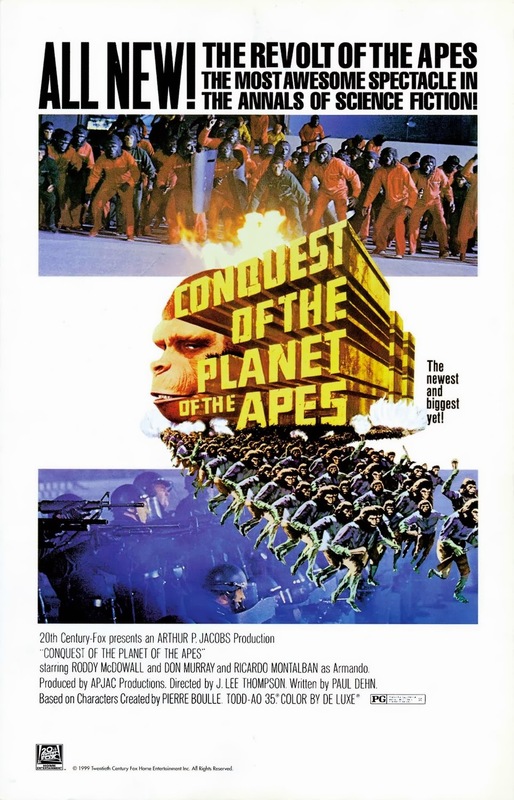 But if any film is worthy of that all-encompassing adjective it is this bleak, brooding—and brilliant—fourth film in the original “Planet of the Apes” movie series. There is an oppressing, Orwellian feel to the film, which is really an origin story akin to the outstanding 2011 film “Rise of the Planet of the Apes”. What is cool about the new franchise re-launch is that (unlike the new “Star Trek”) it does not prevent any of the first five films from happening—it actually sets them up! Think about it; the new movie series gets us to the first film, which leads to Cornelius, Zira, and Dr. Milo escaping in a rocket and traveling back to 1971 earth thus creating a new timeline—the original series. Wow! Thanks for sharing the list of dystopian movies. I have never seen these movies and will start by watching one you have mentioned below.